When it comes to riding the road, safety isn't just one more thing to think about - it's everything. It's why we design and build every Kenworth cab using aircraft quality alloys for structural strength. It's why our trucks give you outstanding visibility - forward, back and all around. 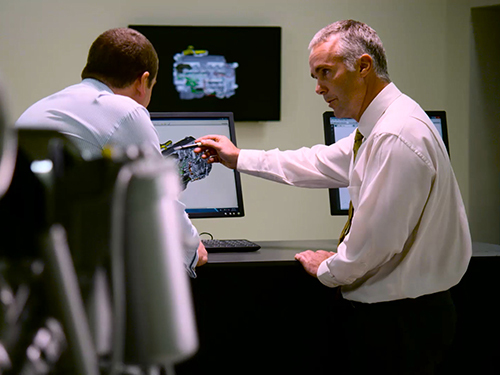 It's why we application engineer and manufacture here in Australia to suit local conditions and operations, put your controls within easy reach and balance all the components of your Kenworth with precision. AT KENWORTH, PROTECTING THE DRIVER, VEHICLE, PAYLOAD AND OTHER ROAD USERS AGAINST UNEXPECTED HAZARDS, HAS ALWAYS BEEN A PARAMOUNT CONSIDERATION. dash provides an unobstructed view of gauges and easy access to vital switches and controls. Smart Wheel fingertip access for engine brake and cruise functions deliver further driver confidence, comfort and control. To meet the highest levels of reliability, safety and durability that underpin the Kenworth brand, to be Australian Made, World's Best, we first cover millions of kilometres in the harshest Australian conditions, testing cooling, brakes, suspensions and every other component to the limit. 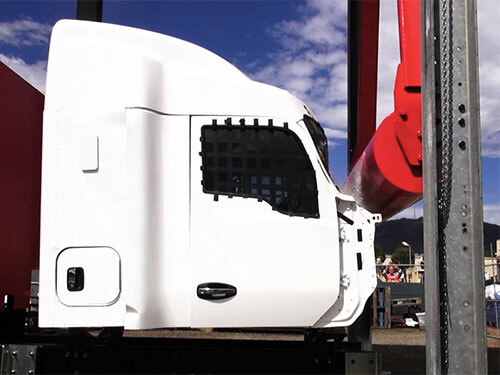 Our ongoing commitment to testing, research and development demonstrates our flexibility in adapting new technologies as they come to the fore, and help maintain Kenworth's high standards of quality and safety. In turn, protecting the driver, vehicle, payload and other road users. 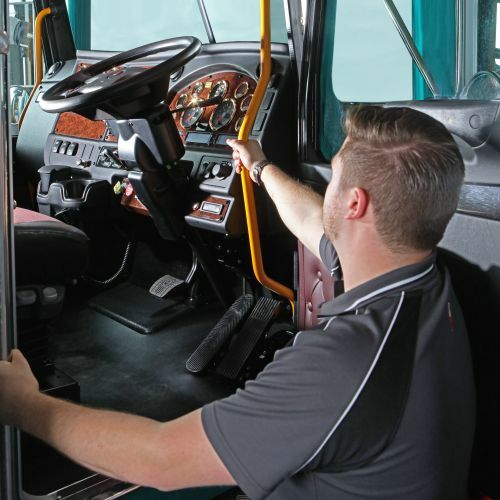 Stepping into the cab, the Daylite door design promotes safety and confidence with an excellent field of vision from the driver's seat of both sides of the vehicle and the rear view mirrors. 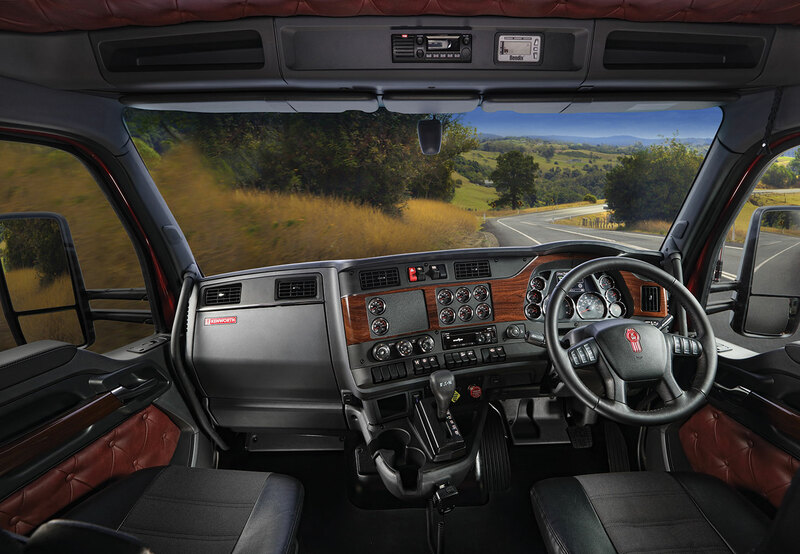 The large one-piece or optional two-piece curved windscreen, offers a commanding view of the road ahead with excellent all round visibility through non-distorting laminated glass. Additionally, west coast or aerodynamic-style rear vision mirrors are securely mounted to minimise vibration. A truck that is engineered to suit a specific application and environment will outperform the rest. Not having appropriate engine power, torque, gearing, axle ratios, braking system, wheels, tyres, and cooling management will compromise vehicle performance and safety. Handling and stability can be further impacted by not selecting the appropriate truck and trailer combinations for specific loads and environments. We have you covered. Kenworth delivers the right truck for you. 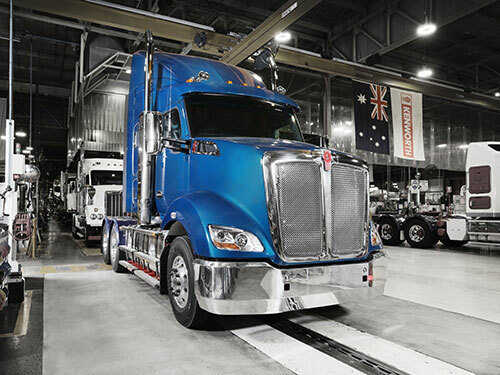 Kenworth has its own test rig capable of testing to the internationally recognised cab strength standard ECEr/c29 and have obtained independent certification to those standards across the whole range of Australian-built Kenworths. 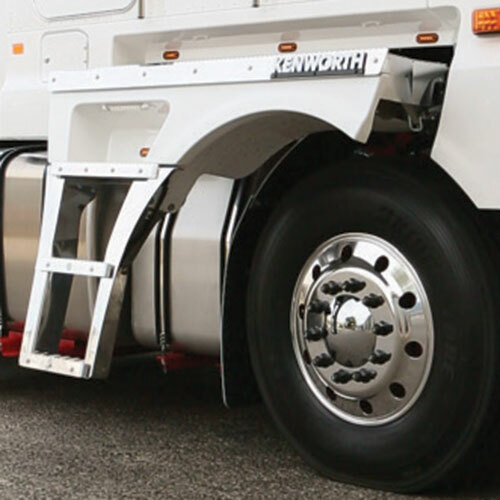 Designed to prevent a car from being trapped underneath the truck in the event of a frontal collision, factory fit FUPS are standard on all Kenworth models. FUPS also help to protect against any damage to the truck's steering, thus enabling the truck driver to stay in control. Kenworth Electronic Brake Safety Systems (EBSS) further enhance vehicle control and accident avoidance, with a comprehensive list of options available to help you stay in control, even when braking in an emergency. These include Bendix Electronic Stability Control, Wingman Fusion™ technology incorporating Active Cruise Control with Braking, Collision Mitigation with Autonomous Emergency Braking (AEB) and Lane Departure Warning. Prevents wheel lock-up when the vehicle is over braked, often reducing stopping distances. Vehicles can retain directional stability and steerability even under emergency braking on slippery road surfaces. ABS also reduces the danger of jackknifing in the case of vehicle combinations. Prevents the driven wheels from compression locking on a slippery surface by raising engine revs to assist with vehicle stability. Prevents wheel spin under acceleration as the drive torque exceeds the drive tyres to road surface adhesion. The ATC system communicates with the engine ECU to reduce engine power or will apply the brake to the drive wheels depending on the low traction event. Helps assist with accident avoidance, by using on-board computers and radar to engage the engine and wheel braking systems if other vehicles on the road enter unsafe distances form the truck. Prevents the truck from rolling back on steep grades, providing a consistent and controlled launch. Only available with Eaton UltraShift® PLUS Automated Transmission. Electronic trailer brake actuation (for EBS compatible trailers only) for improved trailer braking response to assist with reduced stopping distances. Helps to restore vehicle stability through the use of ABS, ATC and steering direction in the prevention of rollovers and jackknifing. Steering angle, yaw, suspension pressure and brake application pressure sensors monitor the intended vehicle directional control versus actual vehicle movement. ESP intervenes by applying individual wheel brakes, or reduced engine torque when required to enhance vehicle stability. The system is compatible with multi trailer combinations. When a forward moving or stationary vehicle enters an unsafe driving distance from the truck, the system utilises audible and visual alerts to warn the driver and if necessary applies the brakes to mitigate an imminent collision. 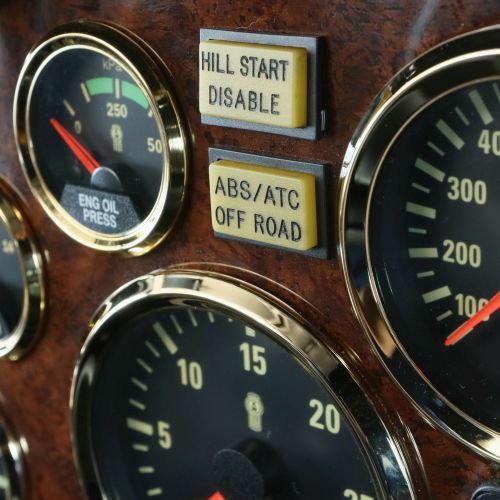 This functionality operates whether cruise control is activated or not. The LDW system detects when a vehicle drifts across a lane marking. When this occurs and the turn signal is not activated, the unit automatically emits an audible warning, alerting the driver to make a correction. It gives drivers the ability to combat lane drift related to fatigue, distractions and unfavourable weather conditions, working effectively both day and night and in most weather conditions, like rain or fog, where visibility is limited.